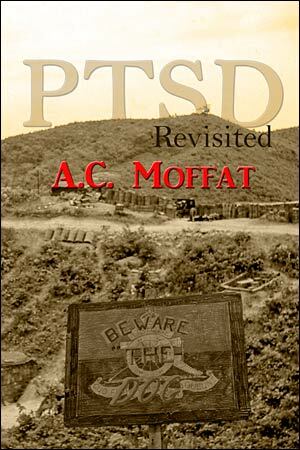 A story of incompetence, neglect, and egotism that extended all the way from Ottawa and Whitehall through the political and military ranks down to the mangled corpse of a young Canadian Artillery Bombardier. It is a story of cover-ups that go far beyond the imagination of normal man! Gross errors and acts of incompetence, not a single one of which was held to account. Officially the position was that no blame could be levied since no act of incompetence had been performed — or proven! Although this is a truly sad tale — there is also a side that makes one wonder how big a role was played by God, for surely it was His hand that saved a hundred lives at the cost of one when he saw no faulty rounds deposited at C Troop! Certainly no man had a hand in that miracle! It had been a lazy day — as a matter off fact, it had been a lazy week. Complacency had not set in; however, the quiet period was long enough that even subconsciously everyone assumed that it would continue. During much of the late afternoon the gun crews had spent in trying to clean up the ammunition that had arrived earlier that day. The TSM and the Number One on #3 Gun spent some time speculating as to how ammunition — any ammunition — could possibly be allowed to deteriorate to such an extent! had it last been inspected — or had it ever been? How could Ordnance handle, ship and deliver such stuff? […] The “System” said it was OK and to question the System was as close as one could come to sacrilege! The book has so many facets to it. The professionalism of the gun battery soldiers in carrying out difficult tasks quickly and with precision to support the infantry is described in a way that I feel I could have been there. I could not put it down. The organizational aspects of the unit are explained well and you have explored the ego’s and attitudes that caused the disaster. From a professional aspect as a psychiatrist you have engaged well with a very difficult, detailed and multifaceted memory that was tragic and led to loss of life. I hope that the process of writing the book and reviewing the memory and following Krakow’s premise has given you a measure of ease emotionally. I am curious to know how writing this book effected you, I imagine it was a difficult task? Thank you so much for working so hard on this and sharing it with me. This story deserves to be published to a wider audience but that may remove any hard earned sense of ease for you.